Cons – Well. I’m confused by what really happened here? Note – As the start of the non-Canonical return to Fear Street, this was an interesting effort. I 100% recommend you read my status updates from when I first read this. Caitlyn has never had a real boyfriend before. When she starts seeing Blade, she throws herself into the relationship with fervor. She ignores her friends who warn her that Blade may be a phony and that she is taking the whole thing too seriously. Caitlyn is smitten. She doesn’t care if she loses her friends. All she wants is Blade. When Caitlyn sees Blade with another girl, she completely loses it. She snaps. Everything goes red. When she comes back to her senses, she realizes that Blade is dead-and she has killed him. But if Blade is dead, how is he staring at her across a crowded party? Spoiler – I’m going to ruin the “twist” to this book. Not that it matters. Note – as of writing this review I could not find a different synopsis than the one I have here. 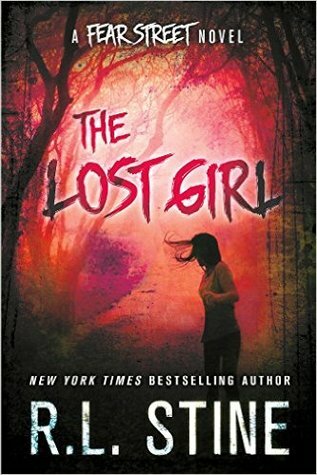 I found this one on Teenreads.com…but the names were different (Caitlin vs Caitlyn, Colin vs Blade, which is funny considering what really happens in the book). New student Lizzy Palmer is the talk of Shadyside High. Michael and his girlfriend Pepper befriend her, but the closer they get to her, the stranger she seems… and the more attractive she is to Michael. He invites her to join him on a snowmobile race that ends in a tragic accident. Soon, Michael’s friends start being murdered, and Pepper becomes convinced that Lizzy is behind the killings. But to her total shock, she and Michael are drawn into a tragic story of an unthinkable betrayal committed over 60 years ago.